Besides mountain gorillas, Uganda is also popular for golden monkey tracking; one of the most rewarding primate adventure and the most sought experience by most tourists on African safari. This life changing experience is only conducted within the jungles of Mgahinga National Park, southwestern Uganda and about 3000-4000 individuals are believed to still exist. This primate species mainly thrives within the bamboo forest of the Virunga Massif area. Mgahinga Gorilla National Park is remarkably one of the best protected areas in Africa for you to track these amazing primate species. 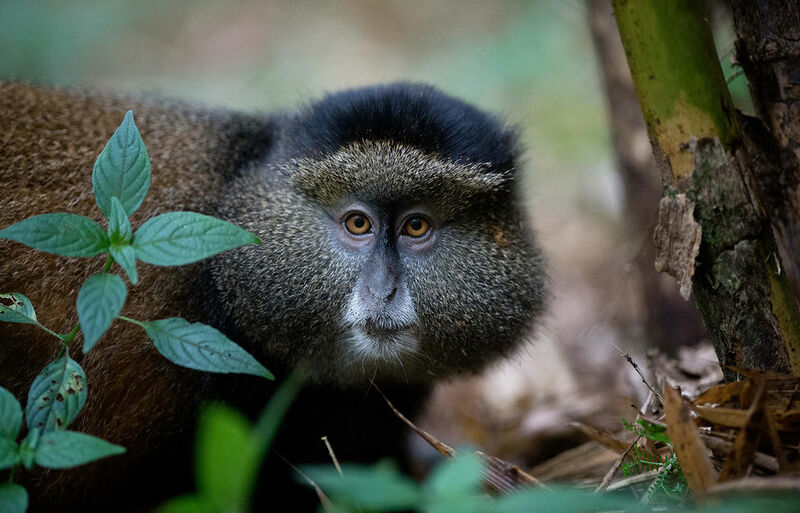 Besides, there is also golden monkey habituation experience the best experience which is only conducted in Uganda and takes you the entire day while looking and interacting with these most beautiful species. This park lies closely to Bwindi National Park and they are the only two (2) protected areas in Uganda where you can track mountain gorillas but Mgahinga National Park is the only ideal area for you to strike your imaginations with the golden monkey species. This primate adventure is all about fun and it is never as strenuous as trekking mountain gorillas in Bwindi Impenetrable Forest National Park. These species come with distinct colors ranging from golden hair, orange mix with black limbs. They are mainly endemic to Albertine rift area and Mgahinga national park is the best for you to track these amazing species. The trek usually kick starts at 8:00am early in the morning with briefing and after, you embark on actual trek in the jungles via Gahinga trail. Most importantly, you need to have snacks, water, day-pack, binoculars, camera, long trousers, long sleeved shirt, hiking boots, rain jacket, hat, walking stick, to mention but a few. Upon finding these fascinating creatures, you realize that they are very jumpy and playful. You will spend only an hour on face to face encounter with these magical primates in the wild, take their photos, explore their daily behavior. For any plans to visit Uganda or Rwanda for a vacation this coming season, golden monkey tracking should be a must to undertake adventure. Today, there habituated golden monkey families in Uganda and Rwanda. However, interested visitors are encouraged to book for their permits early enough with a tour operator or Uganda Wildlife Authority (UWA) and if you are heading to Rwanda, you can visit the Rwanda Development Board (RDB). You may also incorporate golden monkey adventures with mountain gorilla trekking experiences in Mgahinga National Park or in Volcanoes National Park. In Mgahinga National Park there is one group that has been habituated for this experience and research purposes. Permits can be obtained at $50 per person. Permits normally cover the one hour of magical encounter with these golden creatures, security, services of park ranger and many others. The treks usually kick start with early morning briefing by the park official at the park headquarters and the actual trek commences at 8:00am. Golden monkeys are the old monkey species in the world and they feature black and golden orange patch on their upper flanks lives with social group of about 30 members which is usually led by an adult male. These creatures are opportunistic feeders and their diet can be influenced by presence of fruits, leaves of bamboo trees, shoots of bamboo, flowers, invertebrates, shrubs a mention but a few. Incorporating mountain gorilla and golden monkey experiences is the most amazing thing one can do while on safari in Africa. A trek to see these creatures lasts for about 2 (two) hours and takes you through the bamboo forest with a great opportunity for you to also sight at avi-faunal species such as the Kivu ground, olive woodpecker, regal sunbird, African hill babbler and other creatures that thrive within this area. In addition to golden monkey trekking, Mgahinga National Park also offers you opportunity to embark on cultural encounter with the fascinating Batwa pygmies the renowned forest dwellers in Uganda, birding, hiking adventures, cave exploration and many more. Where to stay while on golden monkey tracking? The notable and available accommodation options for visitors on golden monkey safari in Uganda include Mount Gahinga Safari Lodge, Kisoro travelers rest hotel, Kisoro tourist hotel, Lake Mutanda lodge, chameleon hill lodge a mention but a few. 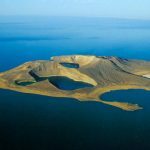 These lodges are also strategically located and offer breathtaking scenery.